As sustainable investing continues to claim more market and media attention, the balance between societal values and shareholder demands is still in flux. Environmental, social and governance (ESG) themed ETFs have been around since 2005 with ever increasing popularity. However, many investors have criticized ESG funds for everything from their stock picking methodologies to their insufficient dedication to ESG issues. In 2018, in a step to more directly impact social issues under the “S” umbrella of ESG, Impact Shares announced the launch of the NAACP Minority Empowerment ETF in partnership with the NAACP. Join Bloomberg to hear experts and leading investors discuss sustainable investing through the lens of the Impact Shares – NAACP partnership. Hear about how the incorporation of ESG information is influencing investment decisions and driving results, as the demand for impact on key issues increases. 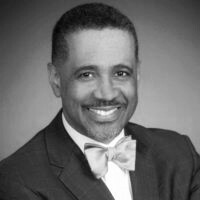 Marvin J. Owens, Jr. currently serves as the Senior Director of Economic Programs for the NAACP. In this role, Mr Owens is responsible for the NAACP’s national Economic Inclusion agenda which includes Asset and Wealth Creation programs with efforts that support financial education, homeownership, minority business development, franchising, workforce development and diversity; Advocacy and Sustainability with efforts around economic justice and social impact investing; and Research with ongoing efforts to track and report economic conditions, as well as recommend public policy changes. Prior to becoming an independent consultant, Mr. Owens served as Vice President for Economic Empowerment at the National Urban League (NUL) where he managed all aspects of NUL’s corporate, foundation, and government relationships with specific focus on affiliate economic development activities, small business development, and finance. Mr. Owens was responsible for implementing business and economic development efforts in more than 20 US cities. Mr. Owens oversaw implementation of the National Urban League’s Empowerment Fund, and was the lead staff in creating NUL’s current model of economic empowerment centers. 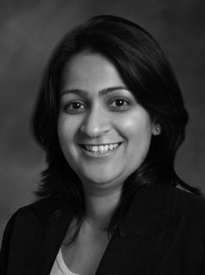 Amisha Parekh is a Senior Sustainable Finance Product Strategist in Bloomberg’s Sustainable Business and Finance team. She is responsible for developing the strategy for Bloomberg’s sustainable finance products and supports initiatives related to Environmental, Social, and Governance (ESG) and enterprise products. She is also an Associate Professor of “Business Strategy for the Common Good” at Glasgow Caledonian New York College. Prior to Bloomberg, Amisha was a Senior Manager in Deloitte’s US Strategy, Innovation, and Transformation group. She has helped several manufacturing, consumer goods, and retail clients develop sustainability strategies and improve operational performance. She has previously also worked in brand management at Procter & Gamble and in the Corporate Sustainability Team at Walmart. Mr. Powell, has spent over two decades in financial services, primarily in Hedge Fund and Private Equity. Most recently Ethan founded Impact Shares. Impact Shares is a collaboration of leading financial service and non-profit organizations providing single social issue ESG solutions. Impact Shares has issued exchanged traded funds in collaboration with The NAACP Minority Empowerment ETF (Ticker: NACP), the YWCA Women’s Empowerment (Ticker: WOMN) and the United Nations Sustainable Development Goals (Ticker: SDGA). Additionally, Ethan serves as the Chairman of the board for a $4 billion mutual fund complex and is a finalist for 2016 mutual fund director of the year. Previously, Mr. Powell was the Chief of Product and Strategy at Highland Capital Management Fund Advisors, L.P. In this role he was responsible for evaluating and optimizing the registered product lineup offered by Highland Mr. Powell also served as the portfolio manager of the Highland ETFs and worked with other portfolio managers and wholesalers on the appropriate positioning of strategies in the market place. Prior to joining Highland in April 2007, Mr. Powell spent most of his career with Ernst and Young providing audit and merger and acquisition services. Mr. Powell received an MS in Management Information Systems and a BS in Accounting from Texas A&M University. Mr. Powell has earned the right to use the Chartered Financial Analyst designation and is a licensed Certified Public Accountant. 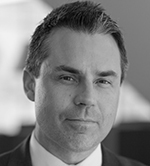 Eric Balchunas is a Senior ETF Analyst for Bloomberg Intelligence. He appears on and helped create the first-ever ETF TV show called “Bloomberg ETF IQ” as well co-hosts a podcast called “Trillions.” He is also a Bloomberg View columnist and has authored “The Institutional ETF Toolbox,” which was published by Wiley in March 2016. 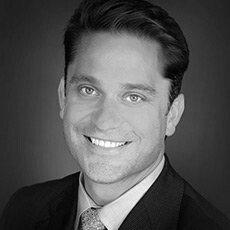 Eric holds a bachelor’s degree in Journalism and Environmental Economics from Rutgers University. Invitations are non-transferable. Program will begin promptly at 6pm, followed by a reception.